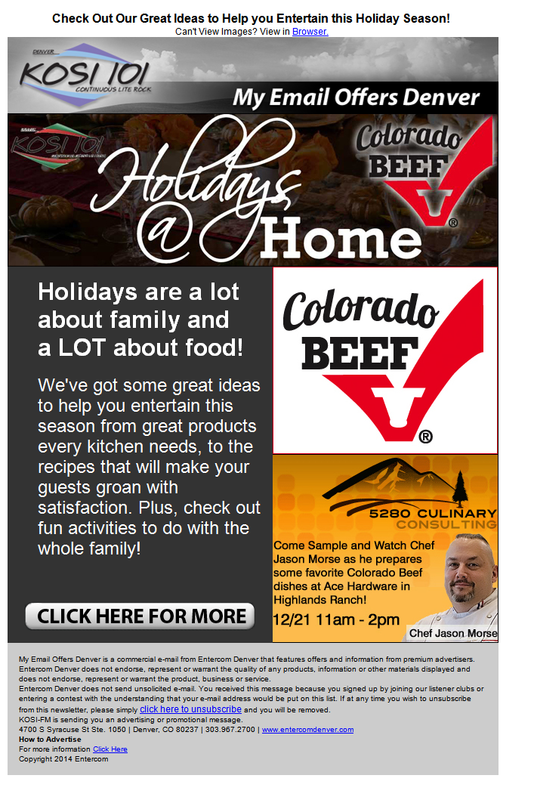 Nothing is more popular during the holidays than entertaining, from happy hours with creative Hors d’oeuvres to elaborate dinner gatherings. 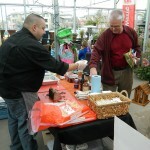 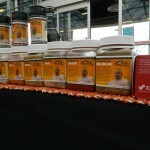 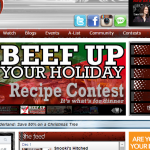 Recipes are saved, exchanged and invented all with a goal to provide an array of fabulous food for family and friends. 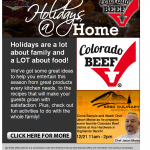 Plus, with all that family in town, you have to think about more meals than just the holiday meals….there’s breakfast, lunch and dinner every day leading up to the holiday – AHHHHH! 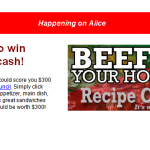 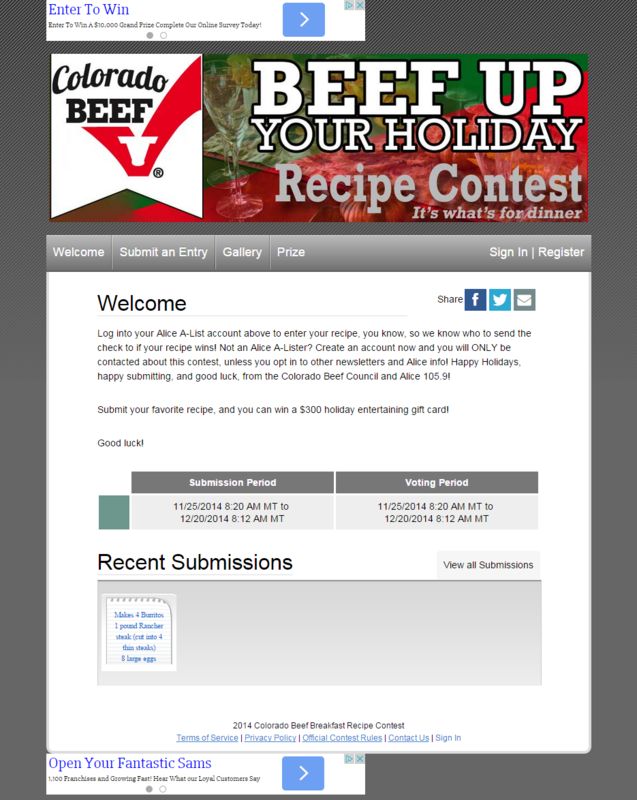 The BEEF up your Holiday Recipe contest is a new program for our listeners who will use it as an ever-expanding source to find easy to make recipes for all meals and appetizers during the holiday season, that are BEEF based. 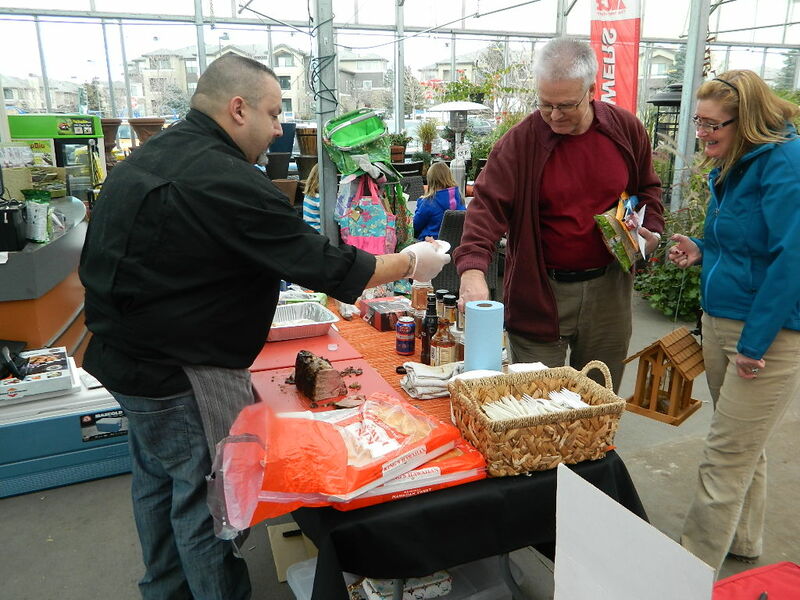 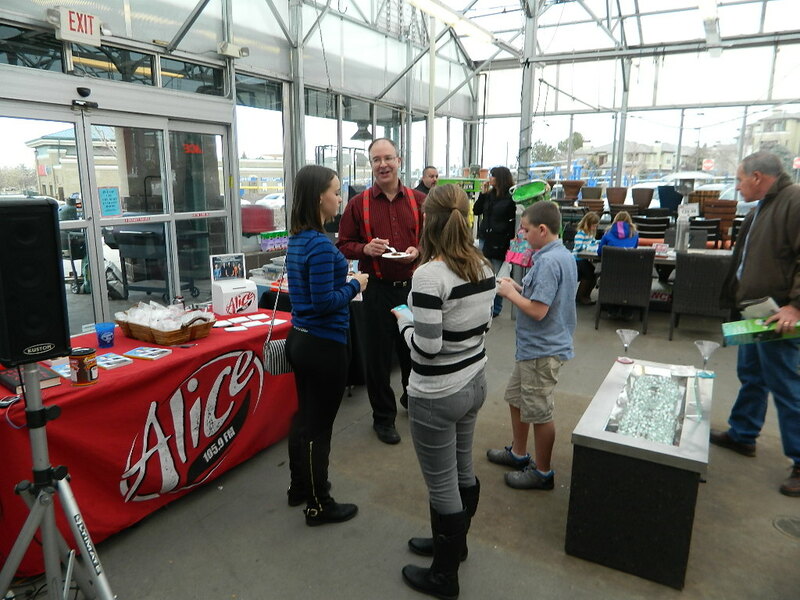 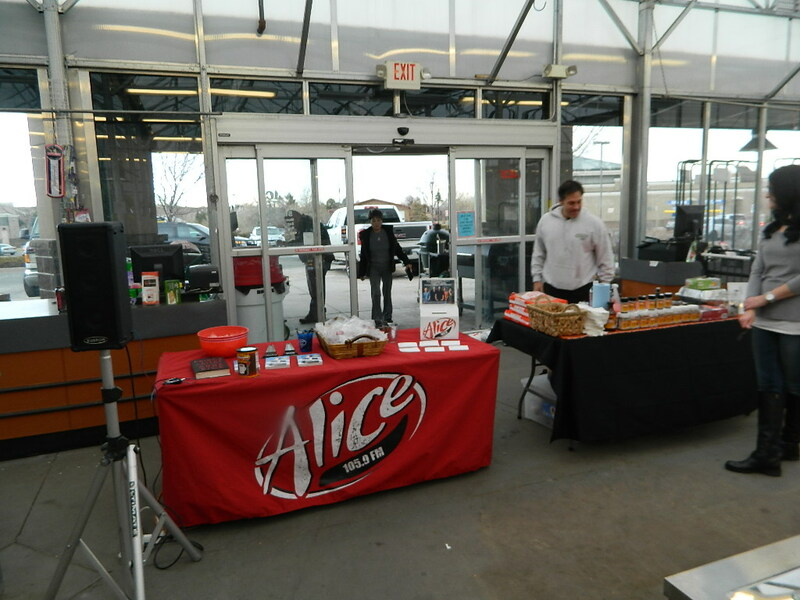 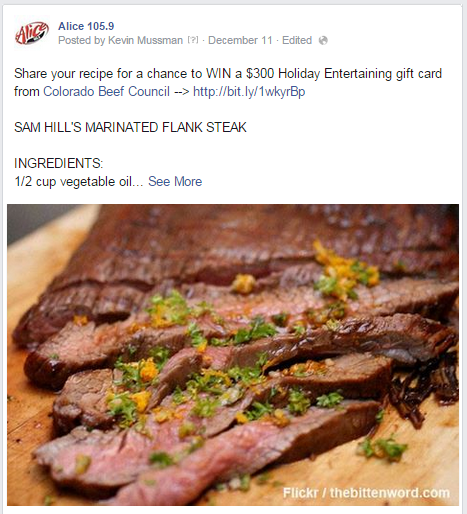 This program over a three week period was promoted on-air, online and E blast promotion as well as a recipe swap page and on-site partnership with Ace Hardware. 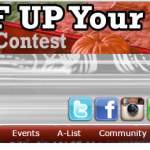 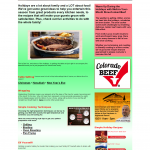 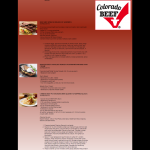 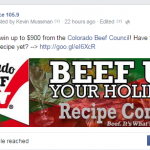 · Dedicated Colorado Beef Council page to promote Council and contest. 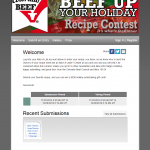 Entrée had 16 recipe submissions, with 107 views of the recipes and 100 unique people voting on the recipes. 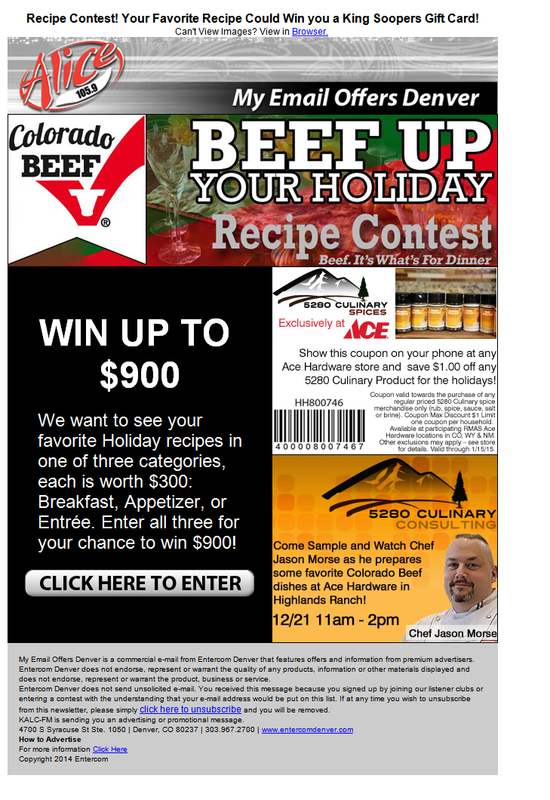 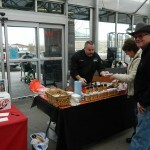 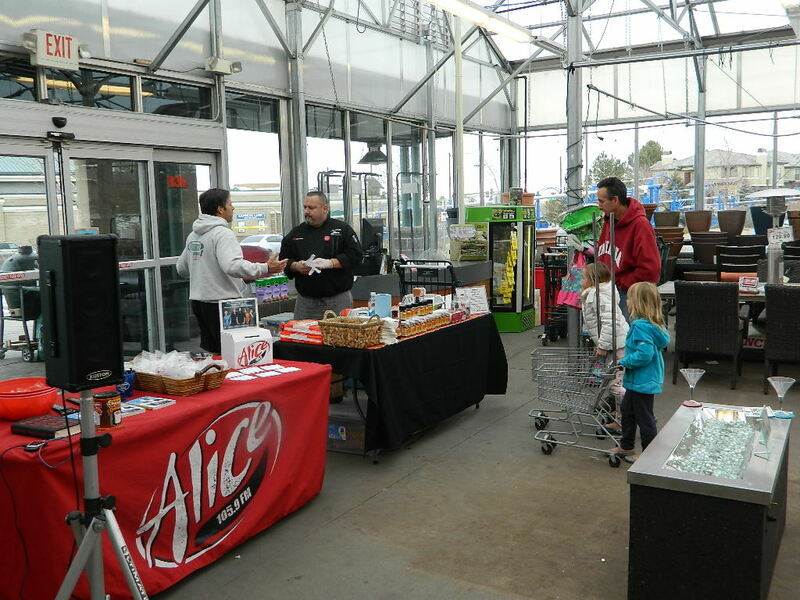 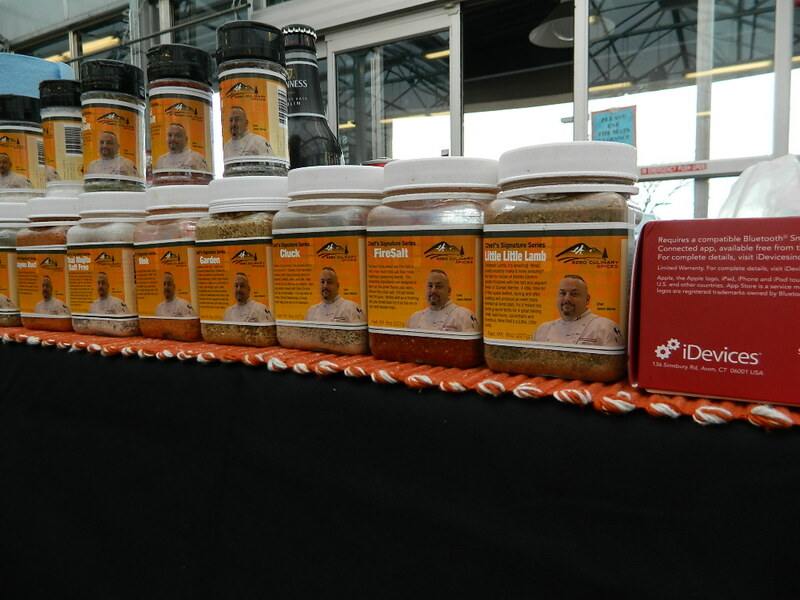 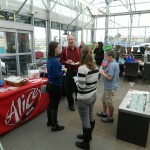 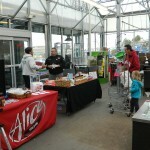 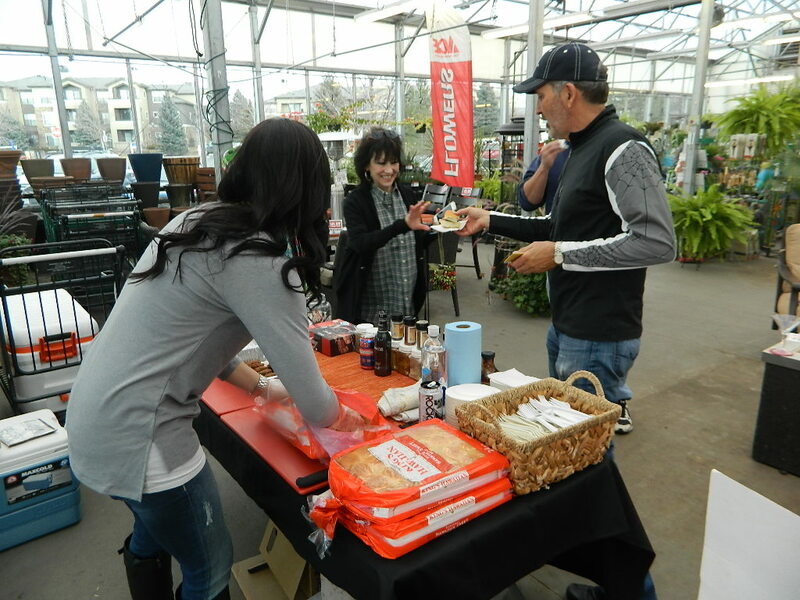 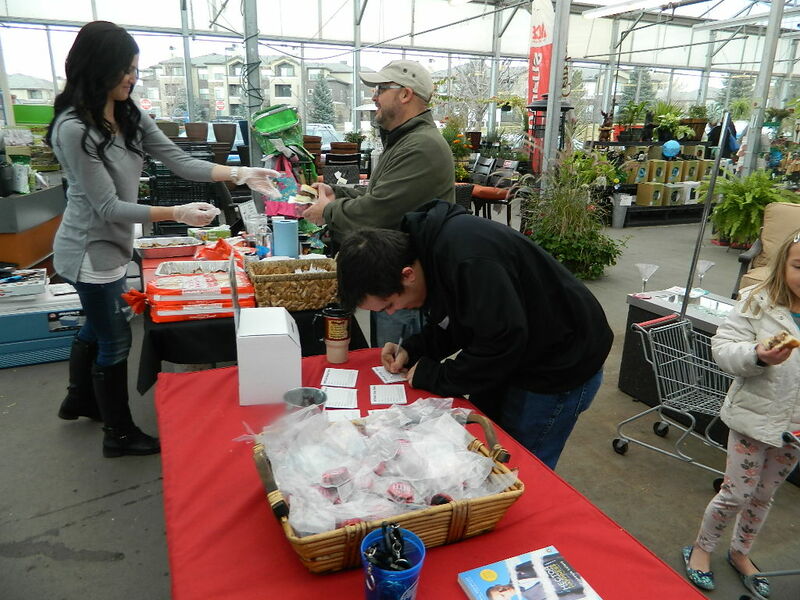 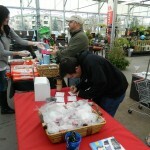 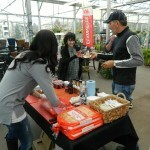 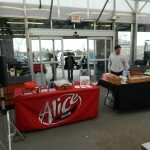 · On-Site Appearance/cooking demonstration December 20th – On-site event at ACE hardware where shoppers will get to sample some of the great recipes shared on the contest site. 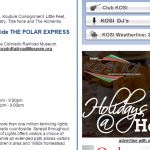 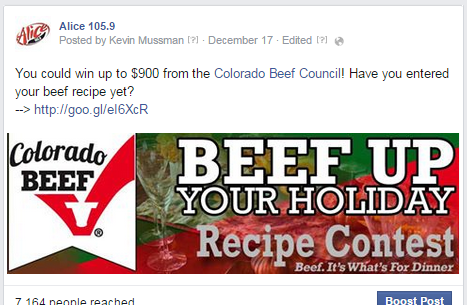 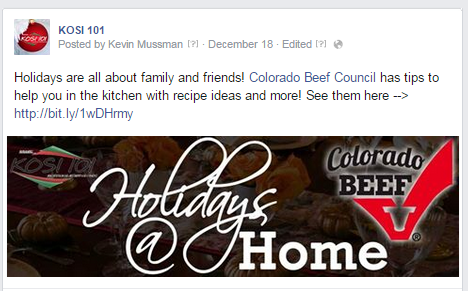 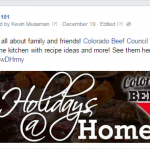 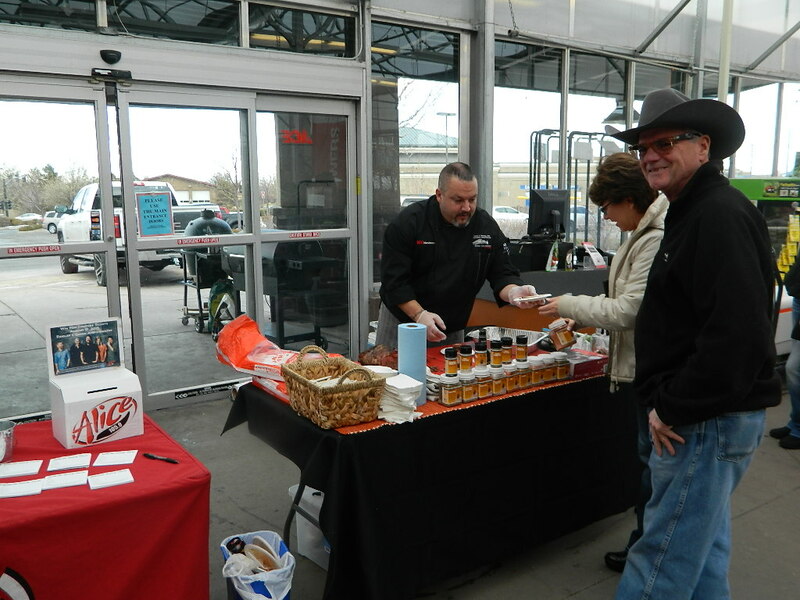 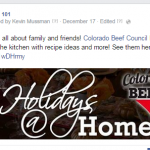 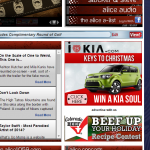 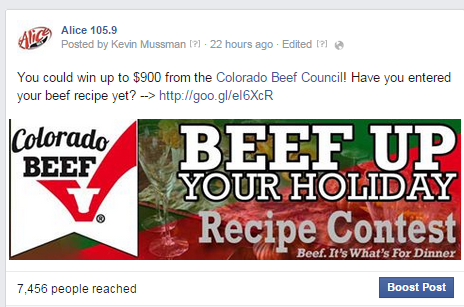 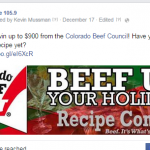 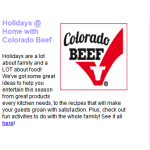 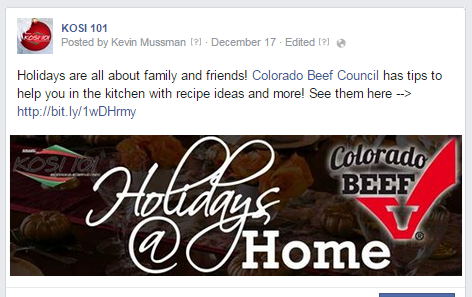 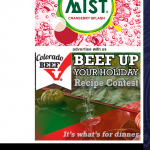 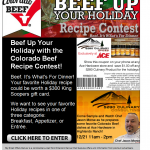 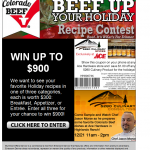 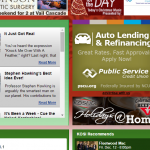 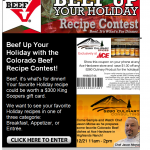 Colorado Beef Council celebrated the Holidays at Home with KOSI 101.1. 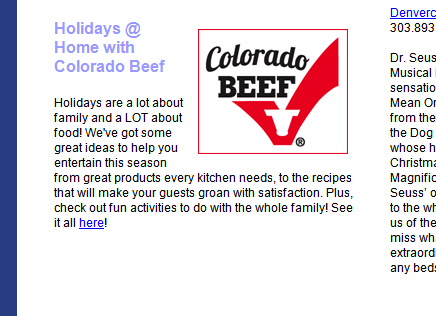 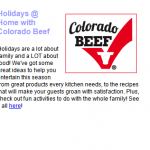 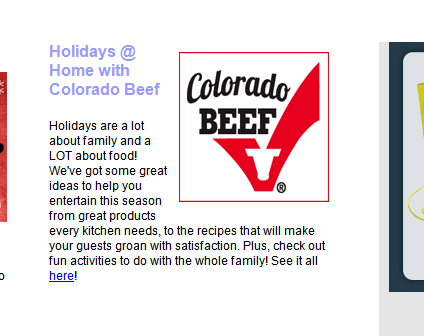 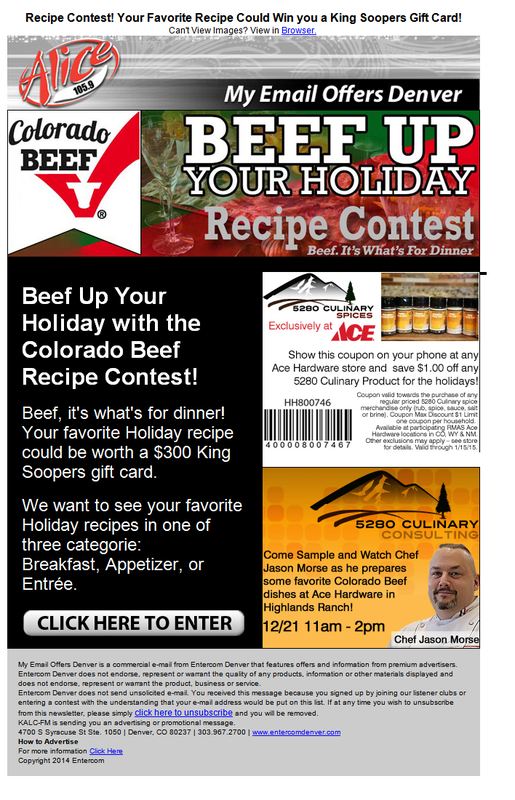 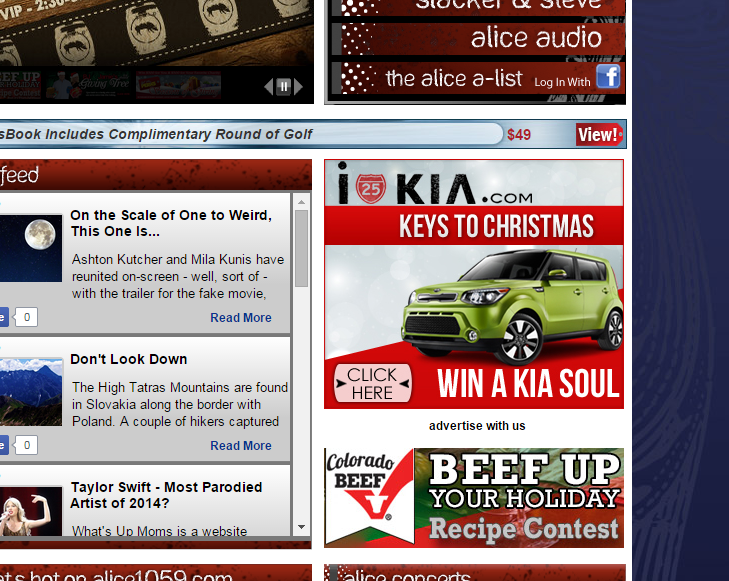 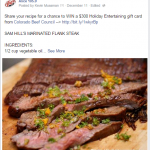 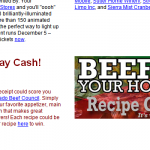 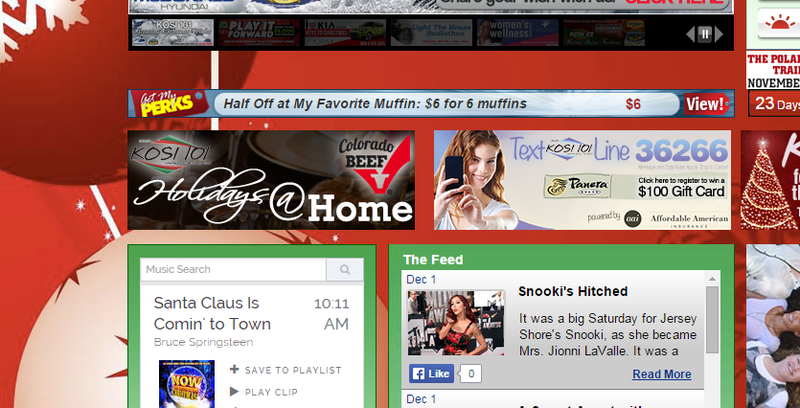 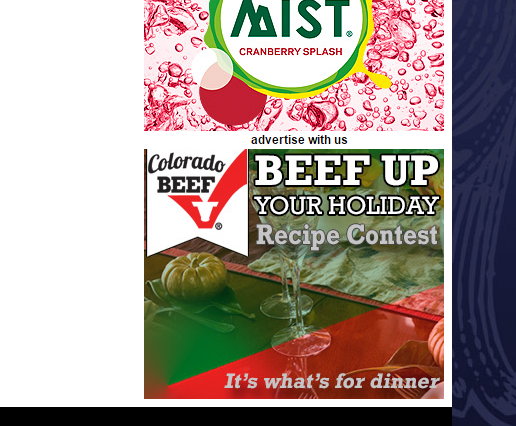 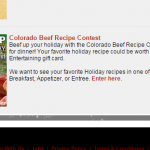 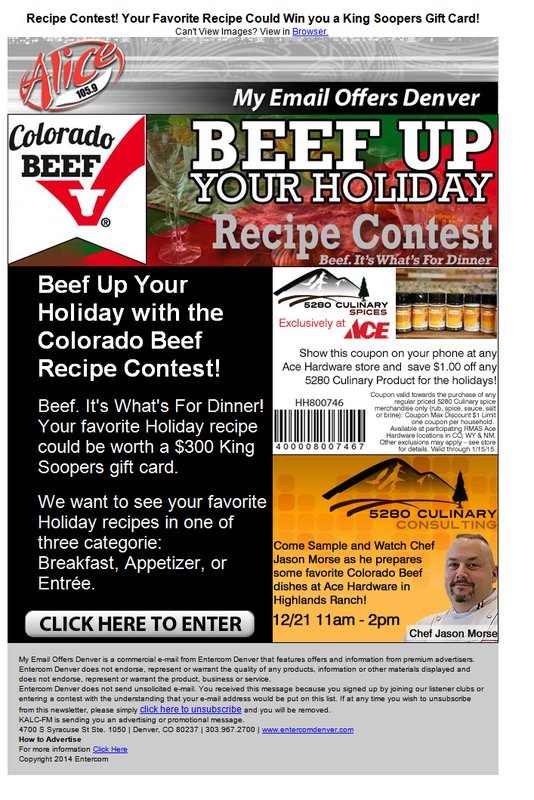 Through on air, online and on site elements the Colorado Beef Council reached the important Holiday crowd giving them helpful holiday tips. 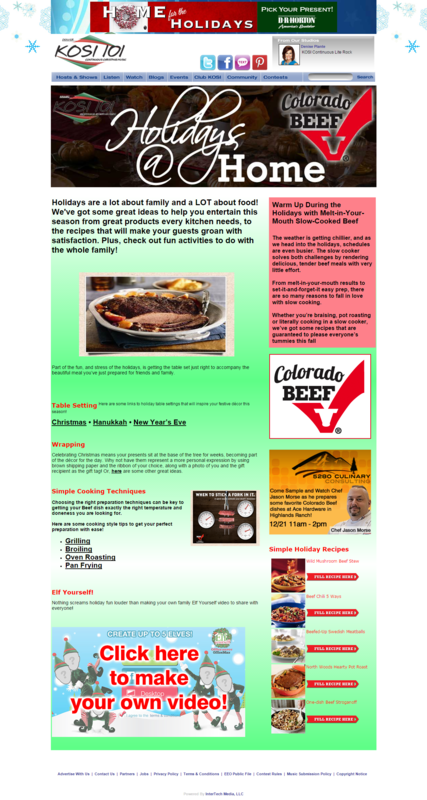 · One dedicated e-mail to database with tips and retail coupons for consumers.